Karnak Plotter Paper 420mmx50m UV2 90gsm (Pack of 2) 032776 Pack of 2 Karnak Plotter Paper 420mm x 50m UV2 90gsm 032776. Made of natural paper. Surface allows regular stretching and excellent colour rendering. Supplied on a firm plastic roll. Pack of 2. 160 CIE whiteness. 90gsm. 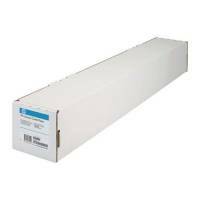 Karnak Plotter Paper 625mmx50m 60gsm 055137 Pack of 1 Karnak Plotter Paper 625mm x 50m 60gsm 055137. Made of natural paper. Surface allows regular stretching and excellent colour rendering. Supplied on a firm plastic roll. 160 CIE whiteness. 60gsm. 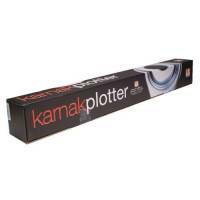 Karnak Plotter Paper 914mmx50m 60gsm 055136 Pack of 1 Karnak Plotter Paper 914mm x 50m 60gsm 055136. Made of natural paper. Surface allows regular stretching and excellent colour rendering. Supplied on a firm plastic roll. 160 CIE whiteness. 60gsm. 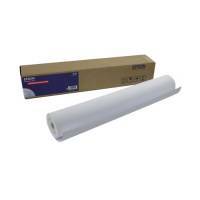 Karnak Plotter Paper 625mmx50m 90gsm 005496 Pack of 1 Karnak Plotter Paper 625mm x 50m 90gsm 005496. Made of natural paper. Surface allows regular stretching and excellent colour rendering. Supplied on a firm plastic roll. 160 CIE whiteness. 90gsm. 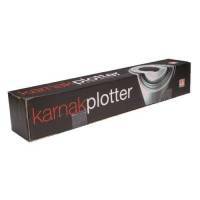 Karnak Plotter Paper 914mmx50m 90gsm 005497 Pack of 1 Karnak Plotter Paper 914mm x 50m 90gsm 005497. Made of natural paper. Surface allows regular stretching and excellent colour rendering. Supplied on a firm plastic roll. 160 CIE whiteness. 90gsm. 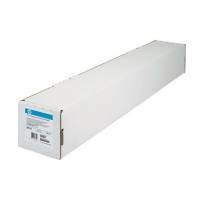 Karnak Plotter Paper 625mmx50m 80gsm 005494 Pack of 1 Karnak Plotter Paper 625mm x 50m 80gsm 005494. Made of natural paper. Surface allows regular stretching and excellent colour rendering. Supplied on a firm plastic roll. 160 CIE whiteness. 80gsm. 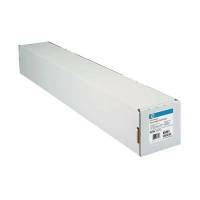 Karnak Plotter Paper 914mmx50m 80gsm 005495 Pack of 1 Karnak Plotter Paper 914mm x 50m 80gsm 005495. Made of natural paper. Surface allows regular stretching and excellent colour rendering. Supplied on a firm plastic roll. 160 CIE whiteness. 80gsm. Epson Presentation Matte Paper Roll 24 Inches x25m 172gsm C13S041295 Pack of 1 Quality 172gsm clean and clear paper. Provides a smooth and clear surface for printing. Excellent results are guaranteed. Roll for precise sizing. Dimensions: 24in x 25m..
HP Coated Paper 914mmx45m Roll 90gsm C6020B Pack of 1 90gsm paper gives excellent light fastness indoors and superior bleed control for presentation quality images. Suitable for HP Deskjet 3000CP and 3500CP and Designjet/Designjet 1000 series. Size 914mmx45m. OEM: C6020B. 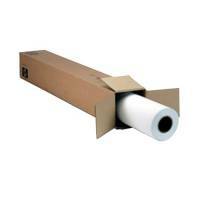 HP White 1067mm Heavyweight Coated Paper Roll C6569C Pack of 1 HP Heavyweight Coated Paper Roll 1067mm x 30.5m. C6569C. Designjet 130gsm. OEM: C6569C. HP Heavyweight 1372mm Coated Paper (1x 30.5m Roll) C6570C Pack of 1 HP Heavyweight Coated Paper Roll 1372mmx30.5m. C6570C. To fit Designjet. 130gsm. Non returnable. OEM: C6570C. 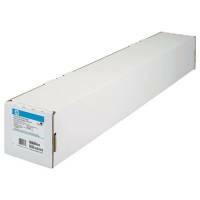 HP White Universal Bond Paper 610mm Continuous Roll 80gsm Q1396A Pack of 1 HP Q1396A Inkjet Bond Paper 610mm x 45.7m for Designjet 400/500/700750c/755cm/800/1050C/1055CM/2800CP/2500CP/2000CP/3800CP/3500CP/3000CP Encad Novajet 700/500/ProE/Epson 9000/7000. 80gsm. OEM: Q1396A. HP Coated Paper A0 841mmx45.7m 90gsm Q1441A Pack of 1 "HP coated paper. Dye and UV ink compatible and designed to provide colour-accurate prints, working comps and design proofs. This bright white paper captures vivid, high-resolution colour and dense Black images. 90 gsm, A0 (841 mm x 45.7m) OEM: Q1441A." HP Bright White Inkjet Paper 841mm x45.7m Q1444A Pack of 1 HP Q1444A Bright White Inkjet Paper 90 gsm. The specially treated surface dries instantly and consistently produces crisp line resolution and high-contrast colour prints. Size: 841 mm x 45.7 m. OEM: Q1444A. HP White Coated Inkjet Paper A1 594mm Continuous Roll 90gsm Q1445A Pack of 1 HP Q1445A Bright White Inkjet Paper 90 gsm. The specially treated surface dries instantly and consistently produces crisp line resolution and high-contrast colour prints. Size: 594 mm x 45.7 m. OEM: Q1445A. 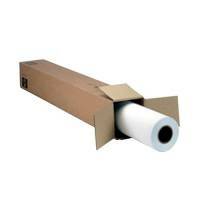 HP Universal Bond Paper 841mmx91.4m Q8005A Pack of 1 HP Q8005A Universal Bond Paper 80 gsm. Designed for Black and colour line drawings. Ideal for technical applications that require high precision and excellent clarity. Size: 841 mm x 91.4 m. OEM: Q8005A. 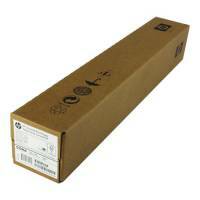 HP Bright White Inkjet Paper 610mm x45m 90gsm C6035A Pack of 1 HP Bright White Inkjet Paper Roll. The perfect choice for everyday line drawings. The specially treated surface dries instantly and consistently producing crisp line resolution and high-contrast colour prints. Size - 610mm x 45m. 90gsm OEM: C6035A. 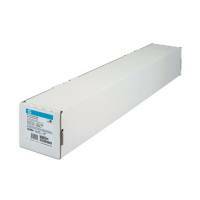 HP Bright White Inkjet Paper 914mm Continuous Roll C6036A Pack of 1 HP Bright White Inkjet Paper Roll. The perfect choice for everyday line drawings. The specially treated surface dries instantly and consistently producing crisp line resolution and high-contrast colour prints. Size - 914mm x 45m. 90gsm OEM: C6036A. HP Bright White Inkjet Paper 90gsm 914mm x91m C6810A Pack of 1 HP C6810A Bright white Inkjet Paper 36 Roll 914mm x 91m. To fit Designjet/Designjet 1000 series. 90gsm. OEM: C6810A. HP Coated Paper 610mmx45m Roll 98gsm C6019B Pack of 1 "HP Coated Paper. 98gsm paper gives excellent light fastness indoors and superior bleed control for presentation quality images. 610mmx45m roll. Suitable for HP Designjet/Designjet 3000CP and 3500CP printers, 1000 series. OEM: C6019B." HP White 610mm Heavyweight Coated Paper Roll C6029C Pack of 1 HP C6029C Heavyweight Coated Paper 24 Roll. 610mm x 30.5m. For Designjet. 130gsm. OEM: C6029C. HP White 914mm Heavyweight Coated Paper Roll C6030C Pack of 1 HP C6030C Heavyweight Coated Paper 36 Roll. 914mm x 30.5m to fit Designjet. 130gsm. OEM: C6030C. HP Universal Inkjet Bond Paper 914mm x45.7m Q1397A Pack of 1 HP Q1397A Inkjet Bond Paper 914mm x 45.7m for Designjet 400/500/700750c/755cm/800/1050C/1055CM/2800CP/2500CP/2000CP/3800CP/3500CP/3000CP Encad Novajet 700/500/ProE/Epson 9000/7000. 80gsm. OEM: Q1397A. HP Universal Coated Paper Printer Matte 610mmx45.7m Q1404A Pack of 1 HP Q1404A Coated Paper Roll 610mmx45.7m for Designjet 400/500/700750c/755cm/800/1050C/1055CM/2800CP/2500CP/2000CP/3800CP/3500CP/3000CP Encad Novajet 700/500/ProE/Epson 9000/7000. 95gsm. OEM: Q1404A.